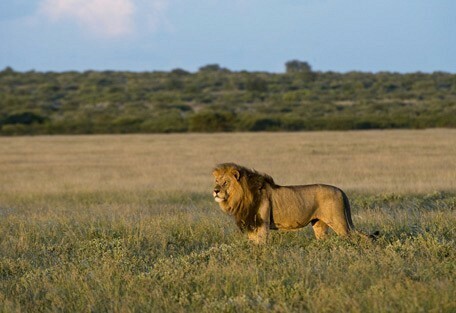 The Central Kalahari Game Reserve is the second largest in the world. It is Africa at its untamed best and after the summer rains, the area around Deception Valley offers some of the best game viewing in Botswana. A safari to the Kalahari gives visitors the opportunity to interact with the local Bushmen, who have called this area home for thousands of years. The Central Kalahari Game Reserve was founded in 1961 and is the largest conservation area in the country; at 5 million hectares, it is one of the largest in the world. The reserve was founded to protect the San Bushmen, with an aim to provide a home for these historical people in their natural environment and to ensure their survival and preservation of their way of life. Located in the centre of Botswana, this reserve is characterised by extensive open plains, saltpans and ancient riverbeds. Four fossil rivers wind through the arid reserve, some of them 16000 years old. Today this area is a fantastic game-rich reserve home to fascinating species that have adapted to the harsh desert environment. Among the shallow valleys, tsamma melons and gemsbok cucumbers historically offer the main source of water for animals and Bushmen during the dry season. The predominantly flat, gently undulating landscape of the CKGR is quite unlike the typical desert; covered with shrubbery and grasses, dotted with larger trees that provide shade to wildlife during the very hot days. Given the remoteness of this reserve, we advise that our guests experience their safari with practised guides, instead of taking on a self-drive experience. In the wet northern region during summer, the roads can become too muddy to use. Desert-adapted species dominate this unique area, all having learned how to survive with little to no water and a scarce food supply. 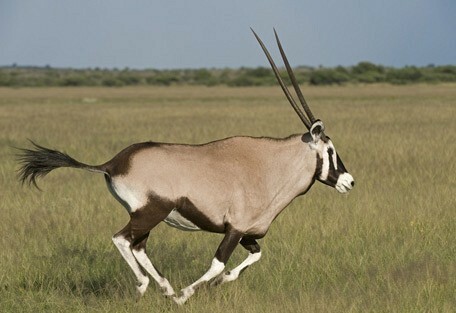 Springbok, gemsbok and eland attract predators like the black-maned lion, and cheetah. 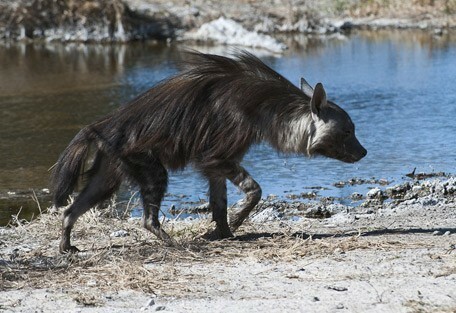 Brown hyena, bat-eared fox, meerkats, snakes and birds of prey are wonderful sights to behold in the dry times in the desert, while the rain in summer attracts a whole plethora of water-reliant animals. 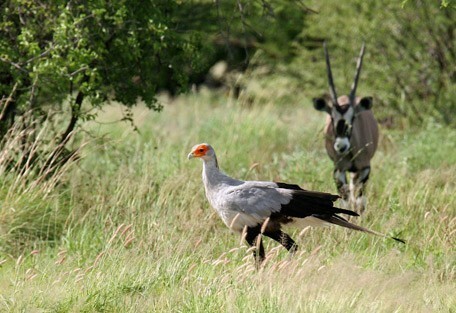 Deception Valley Lodge is located just outside the borders of the Central Kalahari Game Reserve. 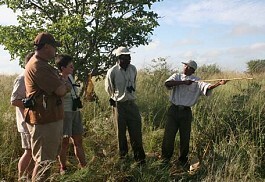 In addition to a wonderful wildlife experience, guests can have guided walks with the San Bushmen. 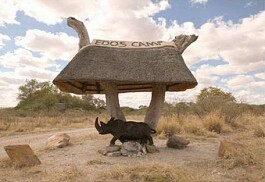 Edo's Camp is located in a private game conservancy in the Kalahari area of Central Botswana. The camp is set around a rocky waterhole with its wonderful tents facing the pan. Home to some of the only white rhino in Botswana and guests can track the rhino on foot. 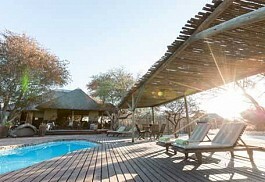 Haina Kalahari Lodge is situated on a private reserve just north of the Central Kalahari Game Reserve in Botswana. The main area of wood and thatch houses the lounge, dining room and a bush bar area, and the camp sleeps up to 20 people in luxury tents. Grassland Bush Lodge consists of eight chalets and offers a unique safari experience to guests where they have the opportunity to interact with the local San people and learn about their culture. Hugging the northern border of the Central Kalahari Game Reserve, Dinaka Camp occupies private territory in this seasonally transformative semi-desert where black-maned lion and cheetah thrive. 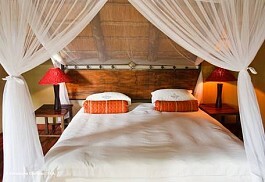 Luxury Kalahari accommodation perfectly located to link to the Delta and Chobe. 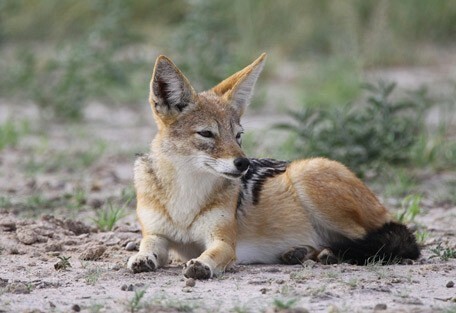 The Central Kalahari Game Reserve offers one of the most remote safari experiences in Africa and is renowned for its incredible wildlife viewing with huge herds of antelope followed by an abundance of predators. With the arrival of the rains during the summer months, from the end of November until April, the desert turns into a wildlife sanctuary. Short grasses sprout in the pan systems and fossil riverbeds and plains game such as springbok, gemsbok and wildebeest congregate in their hundreds and thousands to feed. This, of course, attracts predators such as lion and cheetah, which can be seen giving chase to a number of the hungry herbivores and their infant young. 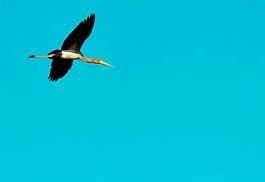 The Green Season in northern CKGR is one wildlife spectacle to be seen. Cultural safari experiences with the Kalahari Bushmen provide insights into the unique and extraordinary culture of these fascinating people. At Haina Kalahari Lodge, guests can enjoy tented accommodation, wildlife at the waterhole, and interaction with the local Bushmen. 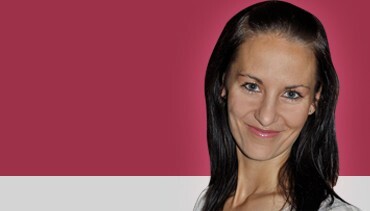 Being a part of the largest desert in the world, it is expected that the Central Kalahari behaves like a desert. Despite its diverse vegetated landscape, there are radical desert-like aspects of this great land. During the winter dry season, temperatures are high during the day and very cold at night. There is no permanent surface water, so when the rains are not present, it takes practice and skill to be able to seek out water (just ask the Bushmen). 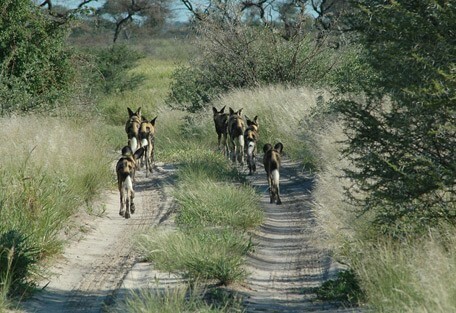 The northern Central Kalahari comes alive after the seasonal rains and becomes known as the Green Desert. From December through to April are the wet months resulting in the luscious growth of new grass, turning the desert into an emerald paradise. If guests are visiting the wet north of the Central Kalahari, where roads can become muddy and impassable, they will be astounded by the masses of migrating herds of zebra and antelope that arrive to give birth. 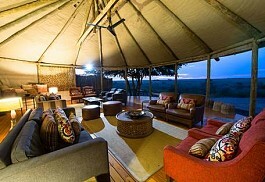 Kalahari Plains Camp is our top choice for a luxury tented safari experience. Game drives and nature walks with Bushmen trackers, and raised decks for sleep outs under the stars. 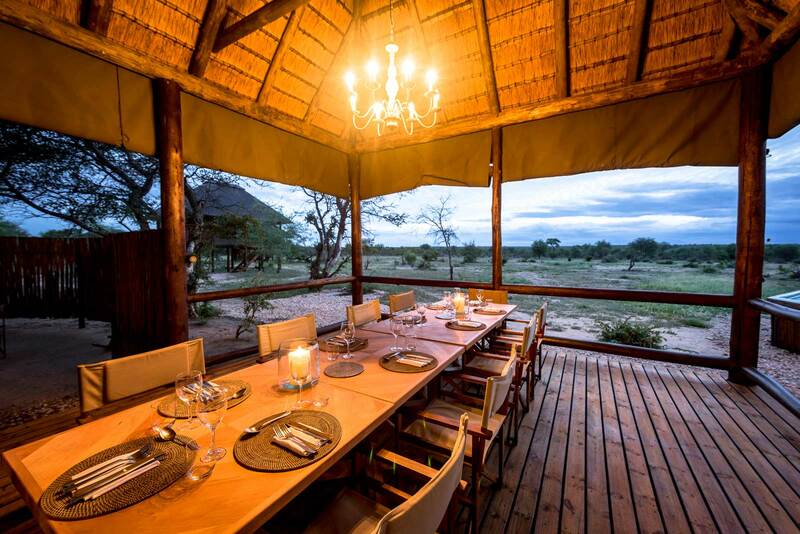 Tau Pan Camp is more luxurious that Kalahari Plains, and is also perfectly located in an area where guests can expect to huge herds of springbok and the black-maned lions. 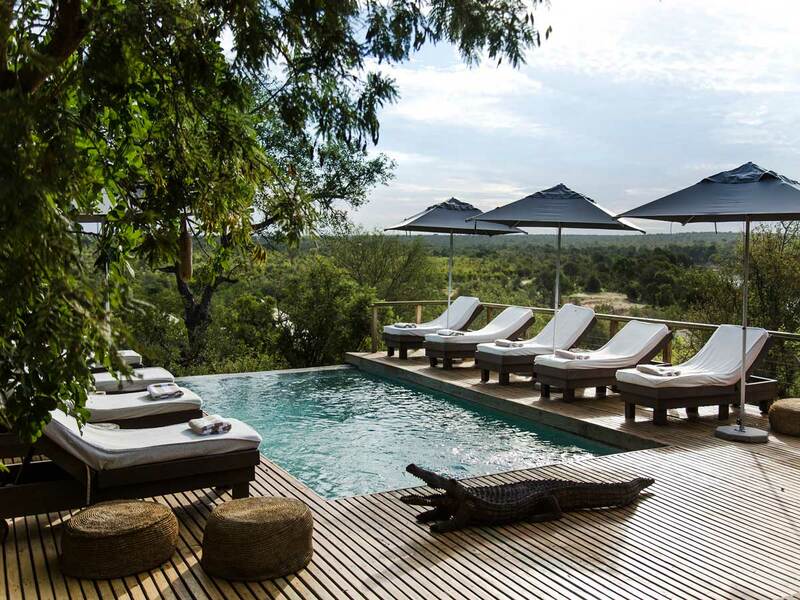 This thatched, tented camp makes use of its astounding views over Tau Pan. 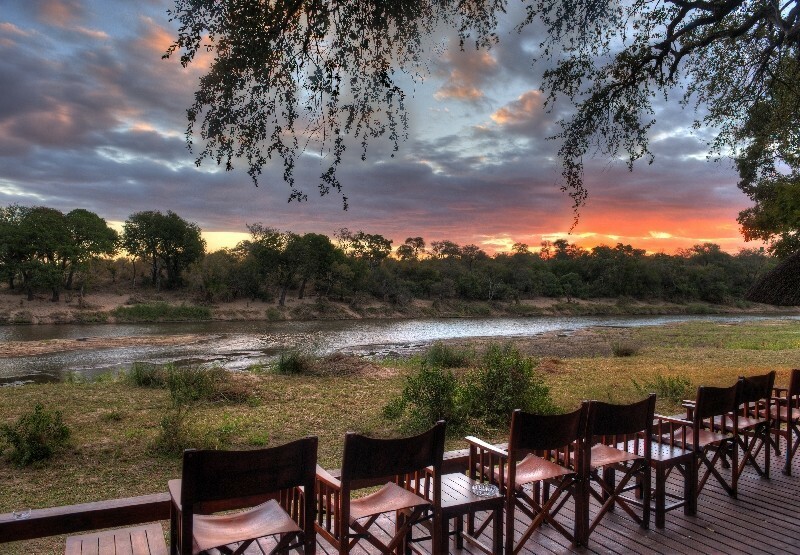 Haina Kalahari Lodge is one of our favourites, located just outside the northern border of the CKGR. This is the region that receives the annual rain, turning the desert green in summer. Haina overlooks a very productive waterhole, provides traditional, tented accommodation and offers the opportunity to meet and interact with Kalahari Bushmen. Guests visiting the Central Kalahari Game Reserve will catch arranged flights to Maun Airport, Botswana's safari capital. 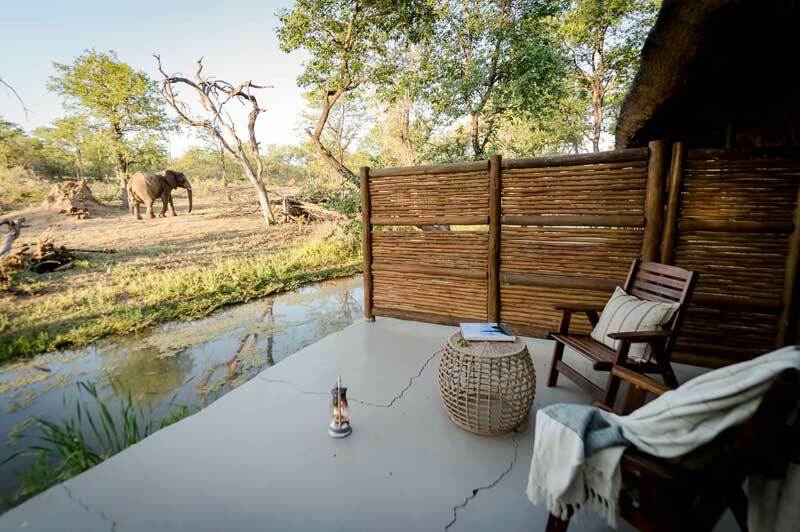 Upon arrival in Maun, Sun Safaris will have arranged for guests to connect with scheduled light air transfers to the Central Kalahari Game Reserve. 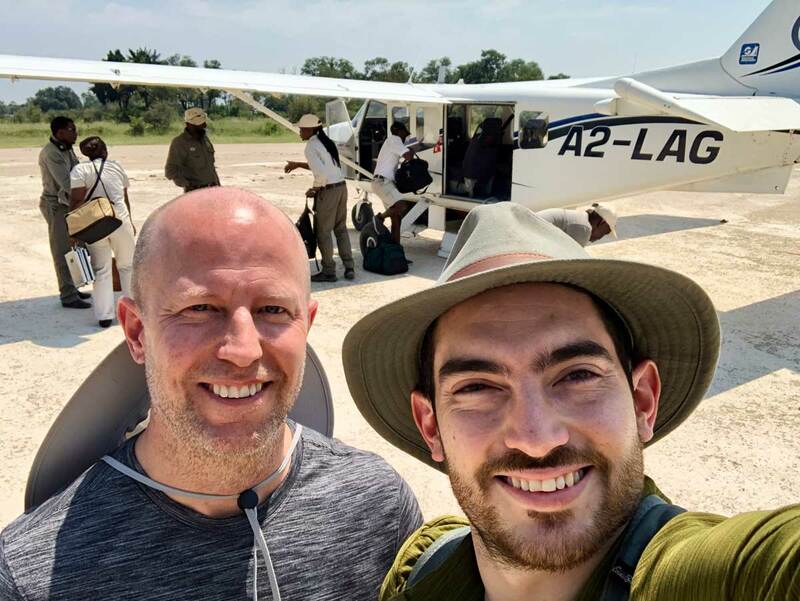 Once having landed at the airstrip in the reserve, guests will meet with a representative organised by Sun Safaris and the lodge the guests are booked to stay at, and they will be driven to their accommodation. The Central Kalahari is also a known self-drive destination; however, requirements are that visitors have 4x4 experience and travel with 100% self-containment.